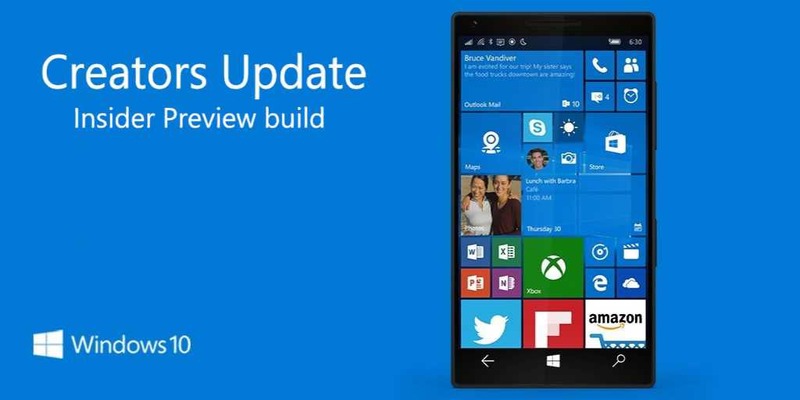 Microsoft is now rolling out a new Windows 10 Mobile Build 10.0.15207.0 feature 2 to Fast Ring insiders. Previously, Microsoft released build 10.0.15205 for mobile fast ring insider members. The latest mobile build is exactly the same as Build 15205 released last week but with new privacy page. Check out what Microsoft has fixed in the latest insider build for Mobile users. Added a privacy page to the Windows 10 Mobile OOBE and upgrade experiences that allow you to quickly and effectively make common privacy changes while setting up the device. However, Insiders have reported that their device would crash or reboot shortly after unlocking their device for the first time after the upgrade if their device did not have a password configured to unlock the device. After updating to Build 15207, you will see this privacy page one more time – but should no longer experience a crash or reboot. Recently, Microsoft also confirms that only selected Windows 10 Mobile smartphone will receive Creators Update. Check out the support phone list below. Devices not on this list will not officially receive the Windows 10 Creators Update nor will they receive any future builds from our Development Branch that we release as part of the Windows Insider Program. However, Windows Insiders who have devices, not on this list can still keep these devices on the Windows 10 Creators Update at their own risk knowing that it’s unsupported. If you are an insider member, check your update and download Windows 10 Mobile Build 10.0.15207.0 feature 2. The company will also release Windows 10 Mobile Creators Update on April 25.